It happened with the first Twilight movie, and with each subsequent film in the series: “Sure, it’s popular, but it’s just little-girl stuff.” Now, I find the Twilight movies deeply terrible, but so are many popular films that appeal primarily to boys and young men. Yet it’s never a matter of those movies being bad because they cater to juvenile male desires and terrors; they’re just, you know, bad. But Twilight? It’s awful, in the conventional wisdom, precisely because it’s all about girl stuff. This all started with Titanic. From the time of its 1997 release until 2009—when director James Cameron’s own Avatar surpassed it—Titanic was the biggest money-making movie of all time (not adjusted for inflation). During its initial theatrical release, it held the top North American box-office spot for an astonishing 15 weeks. That’s 1930s, there-were-no-other-entertainment-options stuff. The analysis at the time was befuddled and bemused—all these teen girls running back to see the movie five, 10, 15 times! Why on earth would girls embrace a film that—Important Critics and Serious Industy Watchers agreed—was technically dazzling but rather ridiculous? Slate’s David Edelstein called it “nothing so much as an Edwardian soap opera” with a plot “out of turn-of-the-century melodrama.” Desson Howe in The Washington Post said the romance was “only passably involving.” Even the positive reviews were down on the Rose & Jack love story. Stephen Hunter, also in The Washington Post, said the film represented “Cameron at his best,” but then he fretted that the film fell down in ignoring the many real-life male heroes of the disaster. He dismissed the fictional romance as something pulled from “Woman’s Home Companion” and “completely unversed in ... psychological complexities.” Also: Jack Dawson is not appropriately protagonist-y. And yet, that’s precisely why the film was so damned appealing to young women (and older women, too), as a recent re-watch, at a press screening for the 3-D re-release April 4, reminded me. 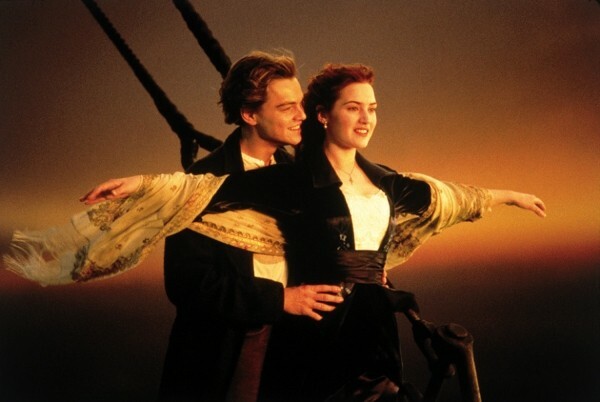 Indeed, it struck home with the force of a pop-culture hurricane: Titanic is all about Rose; it is Rose’s personal journey. This hardly ever happens in films, which are almost invariably about men and their personal journeys. From the most idiotic action movie to the most profound drama, most movies offer us only men who grow and change over the course of (hopefully) an engaging, exciting story. Women, if they’re lucky, are the noble, saintly bystanders who inspire and encourage men; if they’re unlucky, they will be sacrificed—often quite literally—to the male protagonist’s spiritual and personal development. I would bet that most movie-goers of either gender are only dimly aware of the gender disparity we get from Hollywood. Most of the girls and women who flocked to Titanic in 1997 and 1998 probably couldn’t articulate why the film resonates so much with them. But Titanic tells us that a woman’s growth as a person matters. Jack, as a character, is unchanged over the course of the film, as women typically are in such stories; he enters cheerful, optimistic and adventurous, and exits the same way. He is unchanged—because he’s already perfect in the ways that the story requires, just like women usually are in The Movies. What’s more—and I suspect that this is the thing that bothers the men in the audience so much—Jack must be sacrificed for Rose to grow as a person. Rose wouldn’t have become the woman we meet at 101 years of age if Jack had survived. This isn’t even irrelevant to the larger story of the sinking of Titanic. This wasn’t just a harbinger of technological change, of mass death brought on by human arrogance; it was a harbinger of a sweeping social change to come that was a side effect of the technology that the ship represented—including a dramatically different role for women in society. No, that’s not addressed explicitly by the film, but neither are the other taken-for-granted future reflections of the disaster, either.